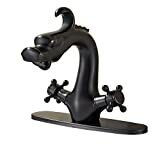 This cool new Dragon Faucet breathes water instead of the usual fireballs. 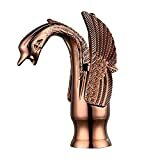 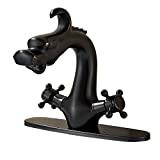 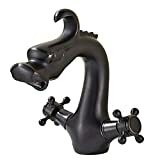 No matter how super ultra fancy your bathroom is (even bathrooms in castles), a ferocious dragon-shaped sink faucet will instantly transform it into at least something much more interesting. 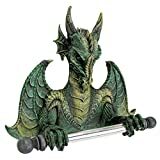 Available in a variety of fine finishes from antique brass to chrome, but unfortunately not from magical dragon scales, since they don't actually exist in this world.